There’s an inevitable transformation that takes place over the course of an artist’s career, and twelve long years is more than enough to tell that story. 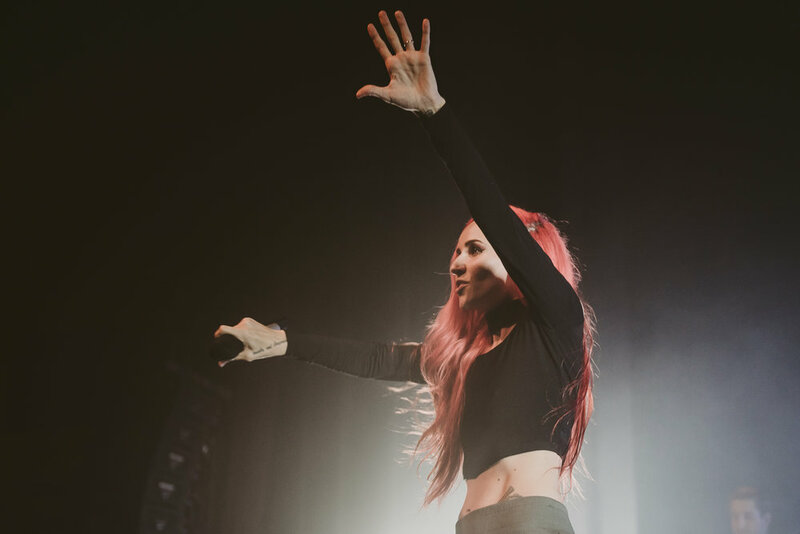 Tuesday night at the Vogue was just that, a triumphant next step in a beautiful sort of metamorphosis for Canadian power-pop evangelist, Lights, and her wave of faithful fans screaming words up the stage since day one. The night was filled with a range of pointed moments, sometimes incongruous but with each passing song, always accomplished behind an infectious alabaster smile. 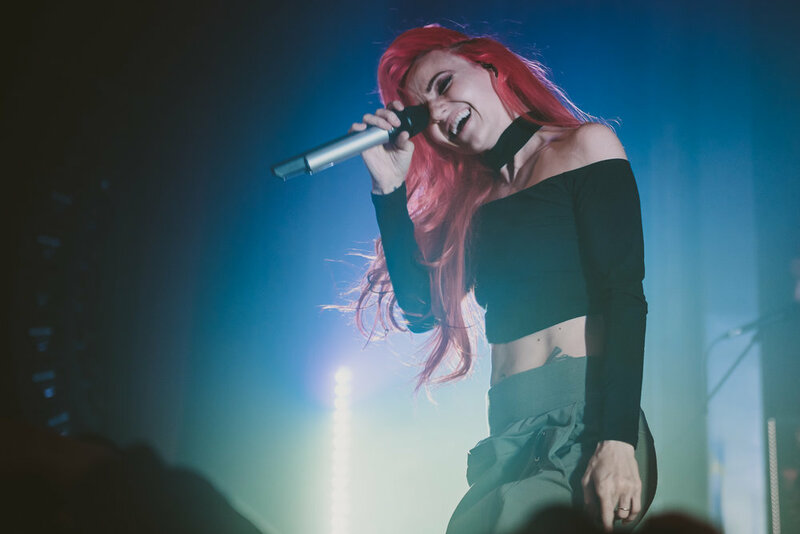 Power anthems like ‘Savage’ showed off Light’s vocal range, while acoustic serenades of fan-favourites had the whole room stilled and silenced, bodies flickering behind candlelight. Swiveling LED’s kaleidoscoped and scanned the crowd like synthesized searchlights. Hidden keyboards played from inside pizza boxes (that’s right). The whole place hummed. Before one of her final songs, behind sweat-streaked tangerine hair all ruffled in a perfect mess, Lights recounted the drive to the theatre from her home in Mission, and hearing her own song on the radio. She was alone, had no one to share the moment with, but swore the excitement left her shaken. 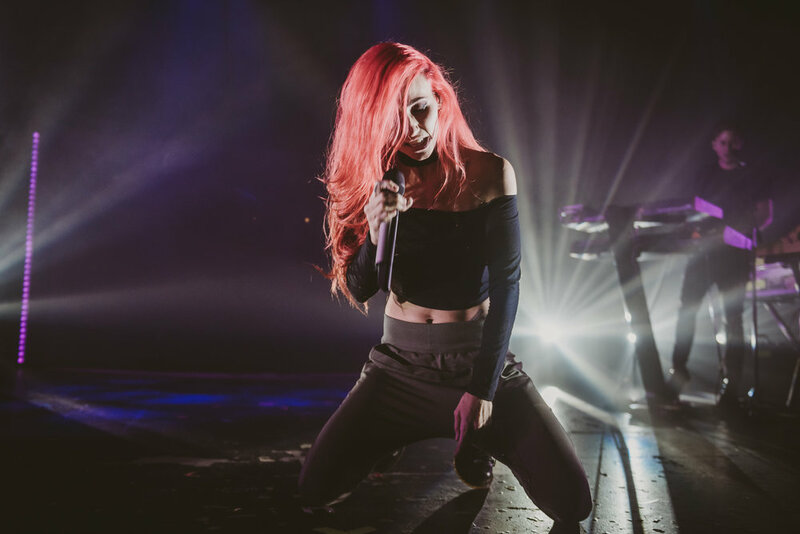 From shy, small-time indie-rocker hailing from Timmons, Ontario, to taking over car-stereos and back-to-backing the Vogue all at the helm of a massive persona that radiates sincerity, to some, the new Lights may seem unrecognizable. But it’s in the quiet moments between songs, between hooks and standing ovations, that it’s perfectly clear she’s the same old friend we used to know, only stronger.